The papery globes of Chinese lantern (Physalis alkekengi) light up the fall garden with brilliant orange or red. 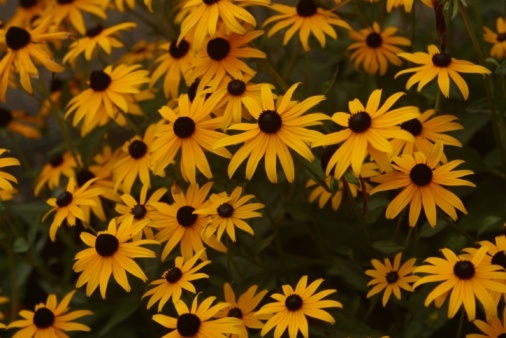 The shrubby plant, perennial in U.S. Department of Agriculture plant hardiness zones 3 through 9, reaches 1 to 2 feet tall and produces white flowers followed by puffy, orange or red calyxes, or lanterns, which cover small berries. Chinese lantern seeds can be sown in place after the last spring frost, and the resulting plants will bloom the following year. Considered somewhat invasive and with few pests to curb its spread, Chinese lantern can be planted in a bed of its own for the best results. 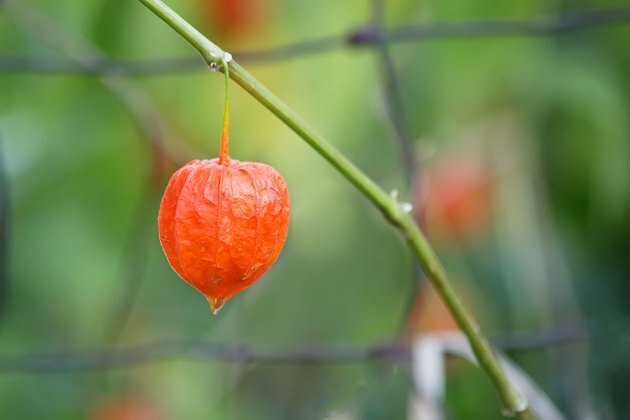 Relocate a Chinese lantern plant that performs poorly -- is spindly or has few flowers -- to an area of the garden that receives partial to full sun. A southern exposure that receives no more than eight hours of sunlight each day is optimal. Sprinkle 1/10 pound of 10-10-10 granular fertilizer per every 10 square feet of garden soil surface in spring and midsummer. Brush all fertilizer granules from the plant foliage, preventing fertilizer damage to the plant. Follow each fertilizer application with a deep watering. Water prevents root burn and activates the fertilizer. Water a new Chinese lantern whenever its top layer of soil is dry, watering enough to saturate the soil to the depth of the roots -- the top few inches of soil. 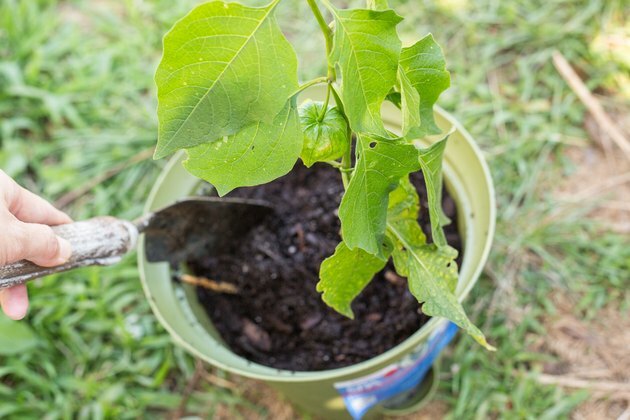 An established plant needs water to the depth of its root zone every three weeks in spring and fall and every two weeks during the height of summer when water is not supplied by rainfall. Ensure the soil drains well, and avoid having standing water in a Chinese lantern bed. Spring is the best time to divide and replant a crowded Chinese lantern patch. Allow 2 to 3 feet between plants. 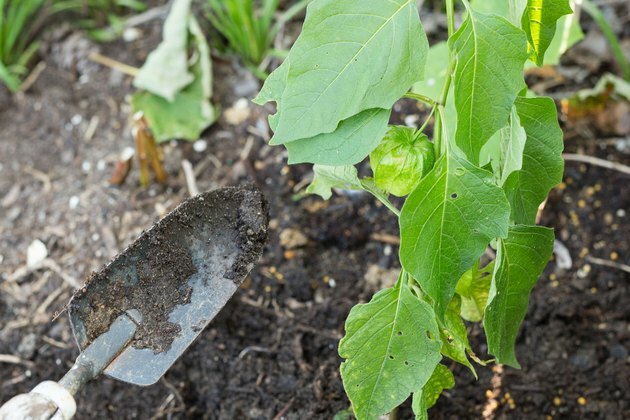 Mix the spring dose of fertilizer -- 1/10 pound of 10-10-10 per 10 square feet -- with the soil when the plants are out of the ground, and water the soil. 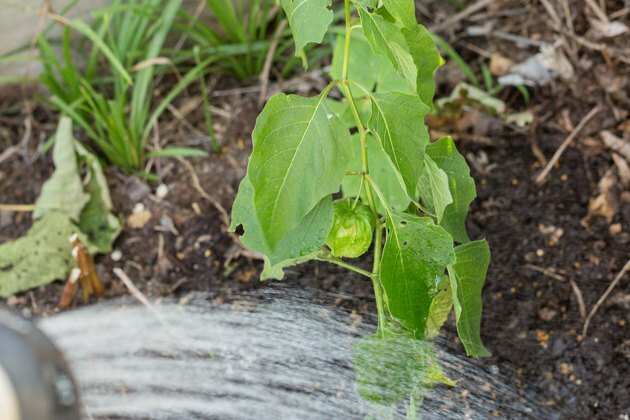 Water replanted plants at least once each week until they become re-established. Monitor a new Chinese lantern plant for cutworms -- small caterpillars that chew off a seedling at its base. 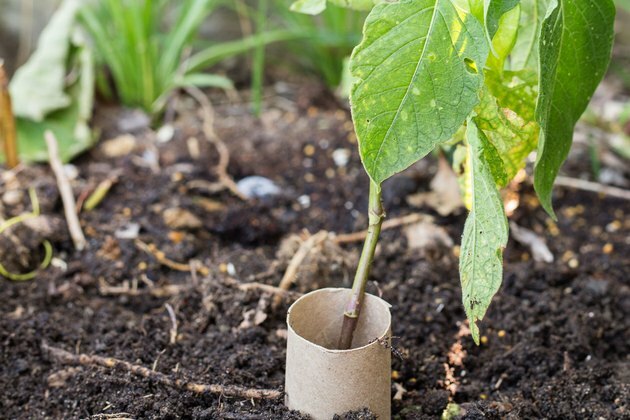 Handpick and remove the worms, or place a short section of toilet paper or paper towel cardboard tube around the plant's base as a protective collar. Pesticides are not recommended against cutworms on ornamental plants. 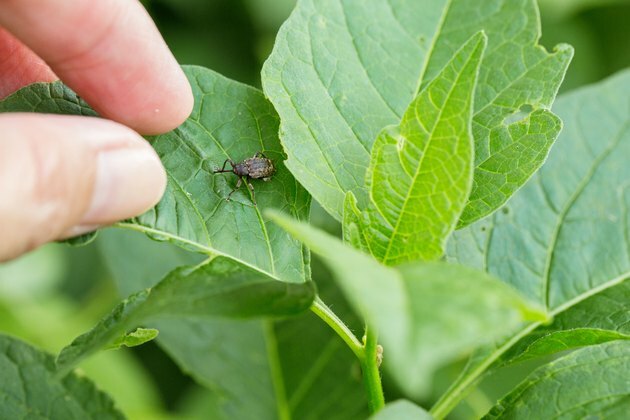 Check the leaves of an established Chinese lantern plant for tiny holes caused by their main pest -- flea beetles -- in spring and early summer. The tiny black or brown beetles die off by midsummer. Don work gloves, and apply a ready-to-use insecticidal soap spray to the front and back of flea beetle-infested leaves and to the plant's stems until they are thoroughly wet. Apply the insecticidal soap early in the day when pests are active, wind is calm and the temperature is below 90 degrees Fahrenheit. 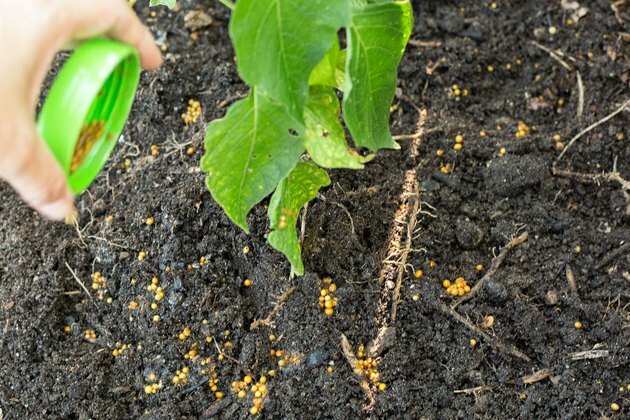 Reapply the insecticidal soap every one to two days as long as you see flea beetle activity. 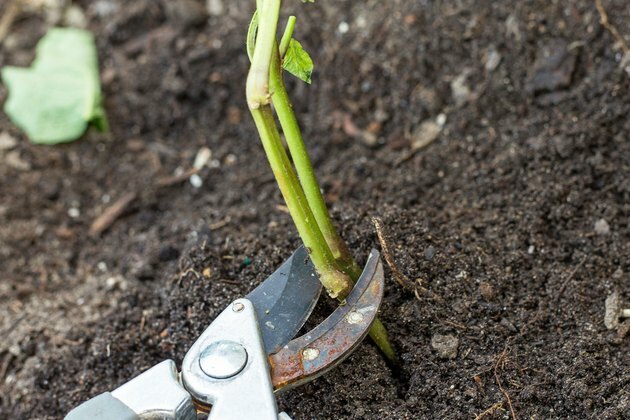 Cut the plant to ground level with pruning shears in late fall. Doing so prevents it from self-sowing. Disinfect pruning blades by wiping them with alcohol and allowing them to dry before pruning. This eliminates the possibility of disease being spread to the plant from infected blades.